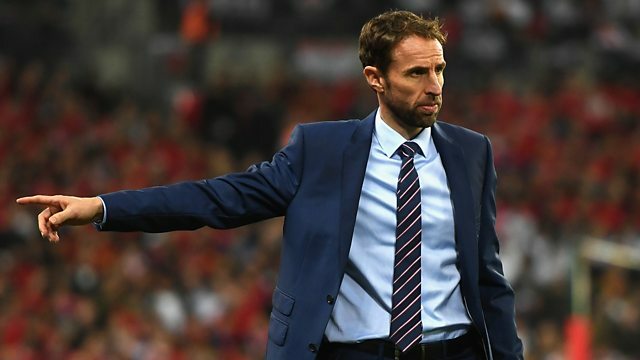 Interim England manager Gareth Southgate admits he has "no idea which office to go into or which parking space to park in" as his future in charge of the national team remains unresolved. The fourth and final match of Southgate's temporary spell in charge finished 2-2 against Spain, the visitors scoring twice in the dying minutes which left the 46-year-old "heartbroken for the players". On his future Southgate added: "I've got a load of meetings in the diary for next week". This clip is from 5 live Sport on Tuesday 15 November 2016.